This study investigates the thermal performance of a heat pipe heat recovery system in air-to-air heat recovery systems using a nanofluid of Al2O3 (aluminum oxide) particles and distilled water. The experimental setup used 15 wickless vacuumed copper pipes with a length of 1000 mm, a 10.5 mm inner diameter and a 12 mm outer diameter. The evaporator section consists of 450 mm of heat pipes, the condenser section is 400 mm, and the adiabatic section is 150 mm. In experimental studies, 33% of the evaporator volume of the heat pipes was filled with working fluids. Experiments were carried out at temperatures between 25ºC and 90ºC by using five different cooling air flows (40 g/s, 42 g/s, 45 g/s, 61 g/s and 84 g/s), and two different heating powers (3 kW and 6 kW) for the evaporation section, to determine the heat removed from the condensation section. Experiments were performed for distilled water and Al2O3 nanofluid, respectively, and the results were compared with each other. As a result of the experiments, it was observed that using a nanofluid as the working fluid increased the efficiency of the heat pipe. The highest efficiency (η = 59%) was obtained in the experiments carried out using an Al2O3 nanofluid at a heating power of 3 kW and an air flow of 112 g/s. Xuan, Y. and Q. Li, Heat transfer enhancement of nanofluids. International Journal of Heat and Fluid Flow, 2000. 21(1): p. 58-64. Sözen, A., et al., A comparative investigation on the effect of fly-ash and alumina nanofluids on the thermal performance of two-phase closed thermo-syphon heat pipes. Applied Thermal Engineering, 2016. 96: p. 330-337. Qu, J., H.-y. Wu, and P. Cheng, Thermal performance of an oscillating heat pipe with Al2O3–water nanofluids. International Communications in Heat and Mass Transfer, 2010. 37(2): p. 111-115. Noie, S.H., et al., Heat transfer enhancement using Al2O3/water nanofluid in a two-phase closed thermosyphon. International Journal of Heat and Fluid Flow, 2009. 30(4): p. 700-705. Hassan, M.I., I.A. Alzarooni, and Y. Shatilla, The Effect of Water-Based Nanofluid Incorporating Al2O3 Nanoparticles on Heat Pipe Performance. Energy Procedia, 2015. 75: p. 3201-3206. Vijayakumar, M., P. Navaneethakrishnan, and G. Kumaresan, Thermal characteristics studies on sintered wick heat pipe using CuO and Al2O3 nanofluids. Experimental Thermal and Fluid Science, 2016. 79: p. 25-35. Reji Kumar, R., K. Sridhar, and M. Narasimha, Heat Transfer Performance in Heat Pipe Using Al2O3 –DI Water Nanofluid. International Journal of Material and Mechanical Engineering, 2014. 3(1): p. 1. Hung, Y.-H., T.-P. Teng, and B.-G. Lin, Evaluation of the thermal performance of a heat pipe using alumina nanofluids. Experimental Thermal and Fluid Science, 2013. 44: p. 504-511. Hassan, H. and S. Harmand, Effect of using nanofluids on the performance of rotating heat pipe. Applied Mathematical Modelling, 2015. 39(15): p. 4445-4462. Teng, T.-P., et al., Thermal efficiency of heat pipe with alumina nanofluid. Journal of Alloys and Compounds, 2010. 504, Supplement 1: p. S380-S384. Senthil, R., et al., Contemplation of thermal characteristics by filling ratio of Al2O3 nanofluid in wire mesh heat pipe. Alexandria Engineering Journal, 2016. 55(2): p. 1063-1068. Kim, H.J., et al., The effect of nanoparticle shape on the thermal resistance of a flat-plate heat pipe using acetone-based Al2O3 nanofluids. International Journal of Heat and Mass Transfer, 2016. 92: p. 572-577. Zhang, J., et al., Experimental study on the heat recovery characteristics of a new-type flat micro-heat pipe array heat exchanger using nanofluid. Energy Conversion and Management, 2013. 75: p. 609-616. ISNAD ÖZTÜRK, Ahmet , ÖZALP, Mehmet , SÖZEN, Adnan . "Experimental Investigation of an Al2O3 / Distilled Water Nanofluid Used In the Heat Pipes of Heat Exchangers". 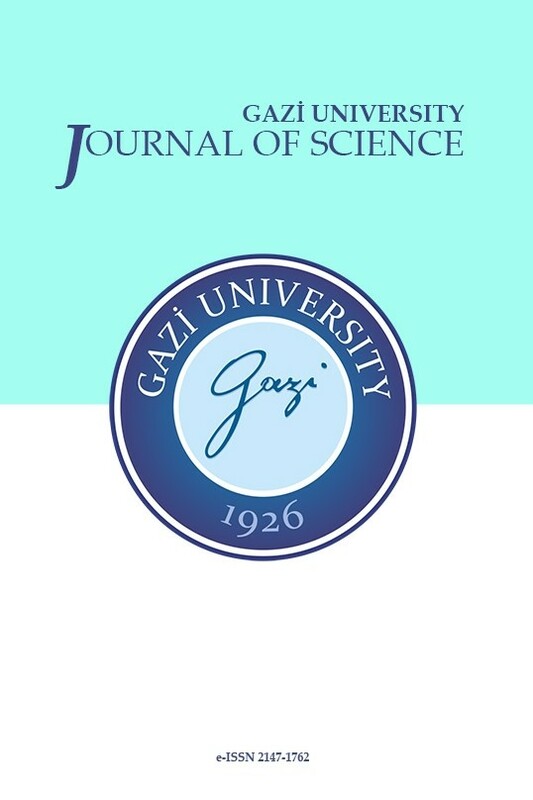 GAZI UNIVERSITY JOURNAL OF SCIENCE 31 / 2 (June 2018): 616-626.